So, you’ve found a kicking-good deal on a vehicle over the border. 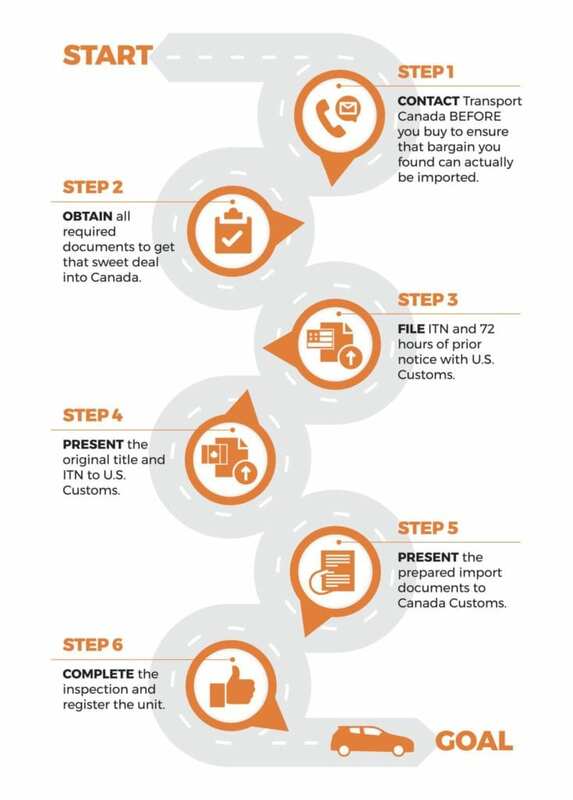 BorderBuddy lays out the 6 essential steps you’ll need to follow to import a vehicle into Canada from the US. Nothing worse than laying out cash and then discovering to your horror that it violates Canada’s complex and stringent safety standards. Make sure you have all the vehicle specs and then call Transport Canada directly at 1-800-333-0371. Don’t get stung! So. Much. Paperwork. You’ll need to work with the seller because they must sign the original title, and provide both a recall clearance letter and bill of sale. 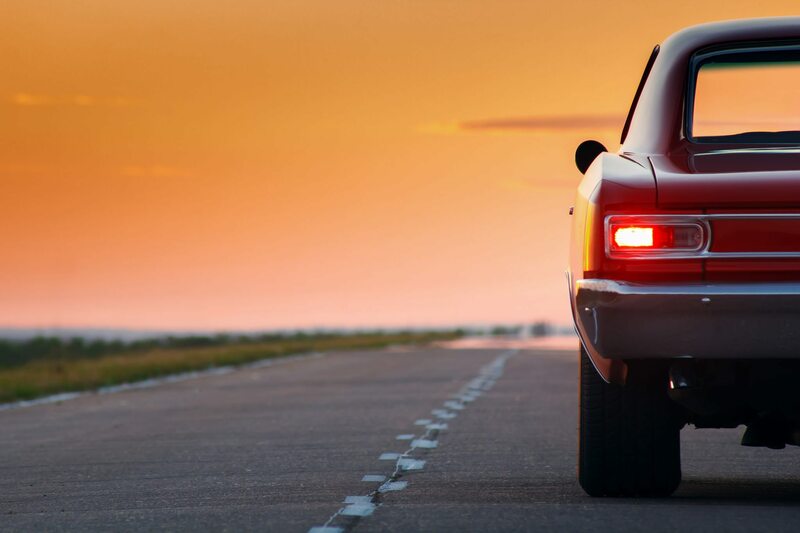 Any outstanding recalls on the vehicle could derail your deal. Your ITN is the Internal Transaction Number issued to you during the export/import process. It’s vital that the ITN accompany the request to start the 72-hour export notice. At this stage of the process, timing is everything! BorderBuddy removes the guesswork by advising you when you are ready to cross. When you do, the original title and documents prepared by BorderBuddy must be presented at U.S. Customs in person. As we said above, Canadian standards are stricter than the U.S. so passing an inspection is vital and can be done by any licensed mechanic. Sure, it looks like a daunting list of things to do, but contact one of our BorderBuddy experts today and they’ll walk you through every one of them to ensure you get that cross-border bargain. Try BorderBuddy’s simple-to-use Import a Vehicle Calculator so you’ll know all the import duties/taxes BEFORE you even make a purchase. Previous: Do I have to pay duty on goods coming to Canada?